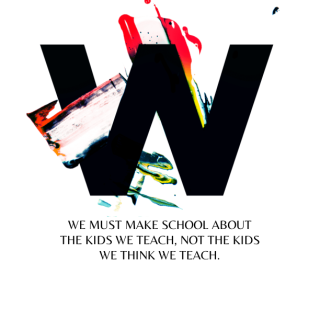 We seem to think that all students want to just be left alone to make and create. That if given the choice, the students would love school so much more if we just provided them with big picture goals and then let them meander along their own path to get there. That they need time to just think and do, without too much interference from the teacher. That if we give them enough tools and enough freedom then their inner passion will be awakened and they will discover their destiny. That school is breaking the creative spirit of all children by not providing freedom and that we must get back to making all of the time. Yet is this true? Is this really what all children need? I bring this up because it seems that in our voyage to overhaul school we seem to be going to a new extreme; one that assumes that all students want to make. That all students are passionate artists held back by the confinement of school. I am not sure this is true though, at least it isn’t, according to my students.